It’s hard to believe that the Bangles were part of the paisley underground scene. But before “Walk Like An Egyptian” and the atrocious ballad “Eternal Flame”, the Bangles had some street credibility and nerve. 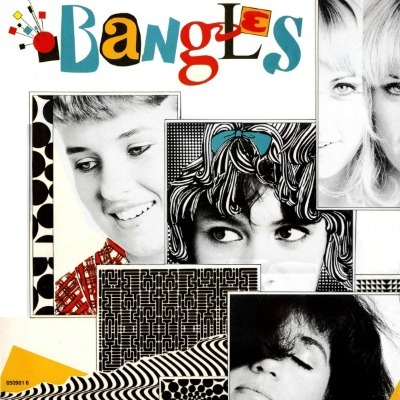 Bangles(1982)—the group’s eponymous, five-song debut—is a great EP. Part of the charm of Bangles is the naiveté of the record. At this stage the Bangles were so obviously in love with anything associated with the mid ‘60s LA folk-rock and garage scenes. Their originals border on clever rewrites of their influences’ greatest tracks. But that quality tends to be a hallmark of a lot of great records—just ask Mark Sultan. Interestingly, the EP catches the Bangles at a brief point where they could claim associations with artists as diverse and interesting as I.R.S. label mates Wall of Voodoo and fellow paisleys, The Last (reportedly Hoffs was a huge fan of the Nolte brothers). Sadly, Hoffs and the Peterson sisters switched to Prince covers and sterile-sounding recordings just a couple of years later. Zilinskas, who from a critical standpoint but certainly not a financial one, left the Bangles at just the right time, joining Blood on the Saddle in ‘82.